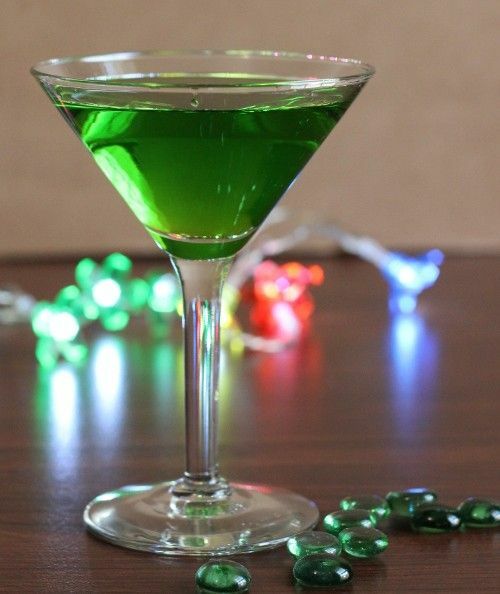 The Evil Tongue cocktail is a beautiful translucent green, and it tastes like citrus and melon. What more could you want in a drink? This is not as sweet as your typical Midori drink. The citrus notes are also a bit stronger than the melon, so it’s one of those few drink recipes where the Midori doesn’t dominate everything. The tartness in this drink matches the sweetness, giving it a great balance. Fill a shaker with ice. Pour in everything and shake well. Strain the mixture into a martini glass.